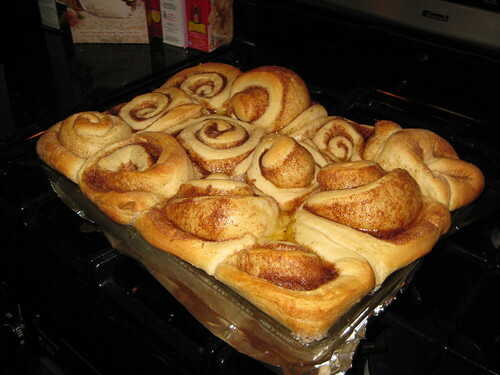 Cinnamon Rolls of Doom - Kellbot! | Kellbot! We make these when we’re afraid we’re not getting enough fat and sugar in our diets. Or when we want to make doubly sure we’re well on our way to type 2 diabetes. 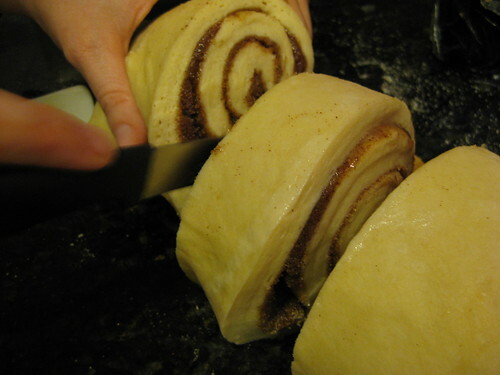 My mother found this cinnamon bun recipe a few years ago, which uses nearly 3 cups of butter and 5.5 cups of sugar for 12-15 rolls. In short, these are terrible for you. But delicious. 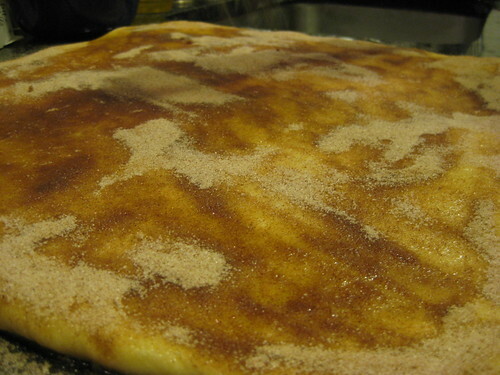 First, you make a sugary, buttery dough, roll it into a slab, and cover it in sugar, butter, and cinnamon. 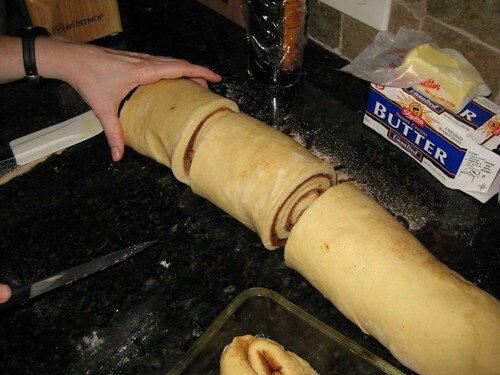 Then you roll it into a log and slice it into 12 to 15 pieces of even width. The sharper the knife, the better your results. 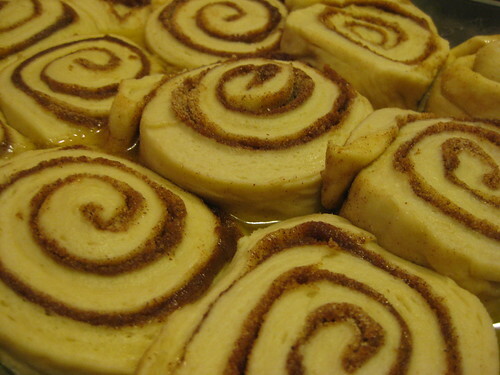 Then you fill a pan with melted butter and place the raw cinnamon rolls in the buttery bath. Our pan was maybe a little too small. While they’re still hot, slather them with the frosting you made while they baked. 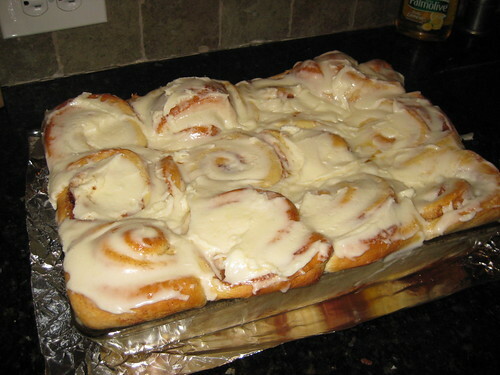 Frosting is, of course, made up of two things: butter and sugar. Then you invite all your friends over to eat them! That way you can all become morbidly obese together.